Staring into the bright abyss of an old monitor isn’t what we’d call a workplace perk. Dead pixels and terrible resolution can make your 8-hour workdays seem like never-ending eye torture. Hopefully, your employer is wise enough to refresh your monitors with a new batch of easy-on-the-eyes screens. If they don’t, or if you’re in charge of procuring a new fleet of monitors, you’ll want to select a product that offers great value and solid resolution. We took a few minutes to search through some recent articles to find the best monitors, cross-referencing them on Amazon. their highest-rated items to provide you a list of four monitors that would be a great fit for the day-in, day-out work you do in front of the screen. We selected each of these monitors because of their price, reputation, size and functionality. In case you haven’t heard, ultrawide monitors are becoming a thing. Many companies like them because they provide a wide viewing surface without the hassle of buying multiple monitors. If you’re a design firm, publishing house or heavy into pagination, these screens will increase your productivity (not to mention the number of smiles per capita in the workplace). 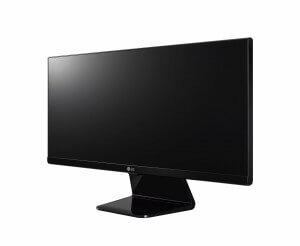 The LG 29” Ultrawide (2560x1080p) is relatively affordable at $330, ranking on the low end of the price spectrum. For a sense of scale, the next model up, the LG 34UM67, is currently selling on Amazon for $499. 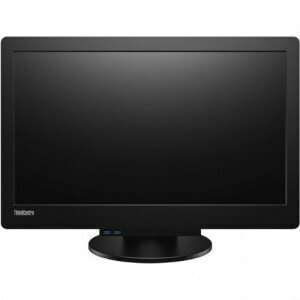 The monitor gets great 4.5 stars from 109 reviews, with customers praising the monitor’s color accuracy, 75Hz refresh rate and overall performance. 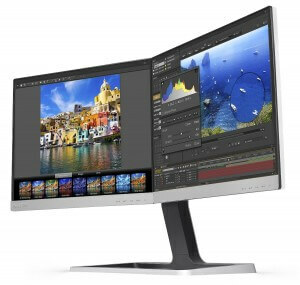 You can consider this monitor the budget option for people who want decent screen size without the massive surface area of an ultrawide. 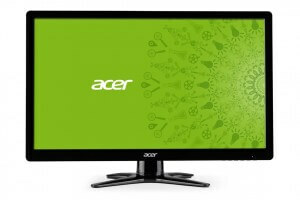 Acer’s monitors are price-friendly workhorses with a great reputation. You can snag this tried-and-true monitor on Amazon for $109.99. However, you’ll need to keep a few caveats in mind. First, the monitor doesn’t have any HDMI ports, so your computers will need DVI or VGA, or, at least, DVI/VGA adapters that will pair with your monitor. Also, this G-Series Acer doesn’t have screw holes to mount on a wall or partition. As for customer reviews, the G236 is reaching hall-of-fame status. Nearly 4,000 people have reviewed it, amounting to 4.3 stars. More than 80 percent of those reviews are four or five stars, while just 10 percent are one or two stars. Coincidentally, several of the more recent comments show people who’ve purchased multiple monitors to get an ultrawide effect. Considering how much a new ultrawide costs, you may want to stick with the LG we mentioned rather than linking two or three Acers. But, of course, that’s entirely up to you. This recommendation comes to us by way of PC Mag’s 10 Best Business Monitors of 2016 list. We think it’s an interesting choice because its appeal has very little do with how it looks (quite stodgy and uninspiring, if you ask us), but because it’s an excellent solution for IT departments who’ve deployed Lenovo’s Tiny-In-One. “The ThinkVision Tiny-In-One makes it easy for IT personnel to deploy an upgrade for one … or many clients without having to tear apart the entire system,” PC Mag’s review reads. Think of this solution as Lenovo-centric, as it’s very easy to plug a Lenovo desktop into this screen. No tools are necessary. The monitor doesn’t have any reviews on Amazon, but is available for $245. Torn between getting double-barreled screens or an ultrawide? This unique Phillips monitor wants you to know that you don’t have to worry any longer. You can get both options in one. PC Mag noted this monitor has great style (which it does) but some annoying drawbacks. For instance, the highest resolution is 1280×1024. Users will appreciate how you can adjust each monitor individually, as well as the plentiful options for connectivity (HDMI-HML, VGA, Display Port, USB 2.0). The dual-screen Philips sells for $425.92 on Amazon. Reviews are few and slightly above average – 3.7 stars is the current rating. If you’re looking for dual-screen capability, we suggest going with the Acer monitor mentioned first in this list. Don’t try to force yourself to like a monitor you don’t love. Since you’ll be using it for dozens of hours a week, it’s important to select something that meets your criteria. The same principle goes for your office furniture and organization. We can help you select the perfect solution for your needs. Contact us today to find out more about what we offer.